Volunteering has always been and will always be a critical part of my life. Over the years, I’ve discovered that despite my best efforts, painting murals at elementary schools and cleaning dishes at soup kitchens are not my strong suits when it comes to volunteering. My real passion and dare I say strength lies in mentoring young people. Mentoring programs have given me the opportunity to positively impact the life of a young person and, in doing so, to give back to my community as did my own mentors who encouraged me to dream big. Mentoring during my Fulbright-Schuman grant period has also provided me with a way to step out of the university bubble in central London, my primary host location, to get to know other faces of this global city, specifically underprivileged youths. 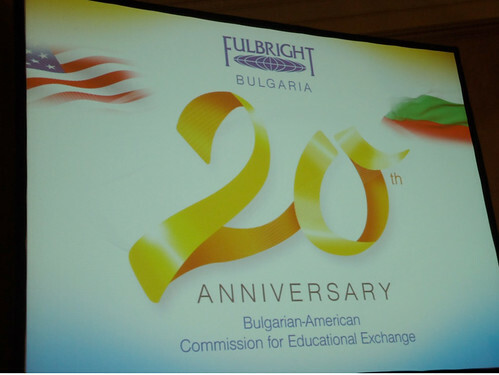 As a Fulbright-Schuman grantee, one of the most important aspects of the experience is engaging in cultural communication. Volunteering, and in my case mentoring, is a central way that I am able to fulfill this aspect of the grant. During my time in the UK and in Belgium, in the classroom and on the streets of Europe, I have been bombarded with questions concerning the U.S. Presidential Election and especially the seemingly meteoric rise of presidential candidate Donald Trump. As a Fulbright-Schuman grantee, I’ve relished these exchanges, but what I hadn’t expected was having to confront the pain and hurt that Mr. Trump’s words had caused my own young Muslim mentee. My mentee has dreamed of visiting the U.S. As he hopes one day to become an architect, the Golden Gate Bridge and the Empire State Building are some of his must-see American sites. His eyes lit up when he mentioned this dream to me then quickly faded as he recalled a recent conversation his parents had had concerning Mr. Trump’s proposal to ban all Muslims from entering the U.S. His parents were justifiably upset and shocked that the potential new leader of the free world would say such things. My mentee said Mr. Trump’s suggested Muslim ban made him feel unwelcome and made the prospect of a visit to the U.S. seem dangerous. As my mentee shared this pain and fear with me, I tried to keep cool, but inside my blood was boiling. First, I am a proud American, so the thought of my mentee feeling afraid to visit my country was deeply upsetting. Second, the thought of this promising young man feeling as though forces out of his control were taking away his dream was to me unacceptable. Finally, and most importantly, beyond his hope to one day visit the U.S., it was clear that Mr. Trump’s anti-Muslim rhetoric was adversely affecting my mentee’s self-confidence. It was in this moment that I truly understood just how outrageous and hurtful this hateful racket really is. Even more frustrating, the victim in this case was a young child. At his age, he should be blissfully naive to the hate, fear, and discrimination in the world, and be encouraged to dream big. This was a loss of innocence, and it struck me as powerfully cruel. While first acknowledging my mentee’s pain, we spent several sessions discussing the biographies of famous Muslim Americans, including the late great heavyweight boxing champion of the world Muhammad Ali whose experience and words transcended the sport and helped to shape my country into a more tolerant one. I discussed with my mentee the notion that despite the ongoing challenges of many overt and subtle forms of discrimination, the powerful rejection of that discrimination by Ali and others enables the very possibility of an ever-closer union in American democracy and is what makes America exceptional. Beyond these stories, what convinced my mentee to keep an open mind toward the U.S. despite the closed-mindedness of the Republican Presidential nominee was sharing stories from my own life with him and identifying strong similarities between our upbringings, from growing up in big families to having faith play a valuable role in our lives. As children we all learned the idiom, “Sticks and stones may break my bones but words will never hurt me” precisely because words can and do often hurt. They can have a profoundly negative impact on a young person, including my own mentee. If my entire experience during my time as a Fulbright-Schuman grantee in Europe had consisted of this one conversation with my mentee it would absolutely have been worth it. The Fulbright-Schuman grant gave me the opportunity to experience, firsthand, the impact of political intolerance experienced by my mentee. It also offered me the chance to talk about my incredible country with its strengths and its challenges and to convince at least one young Muslim Brit to keep dreaming big. Next articleSecure up to 68,000 USD to complete a Master of Arts in German and European Studies at Georgetown University in Washington, DC!